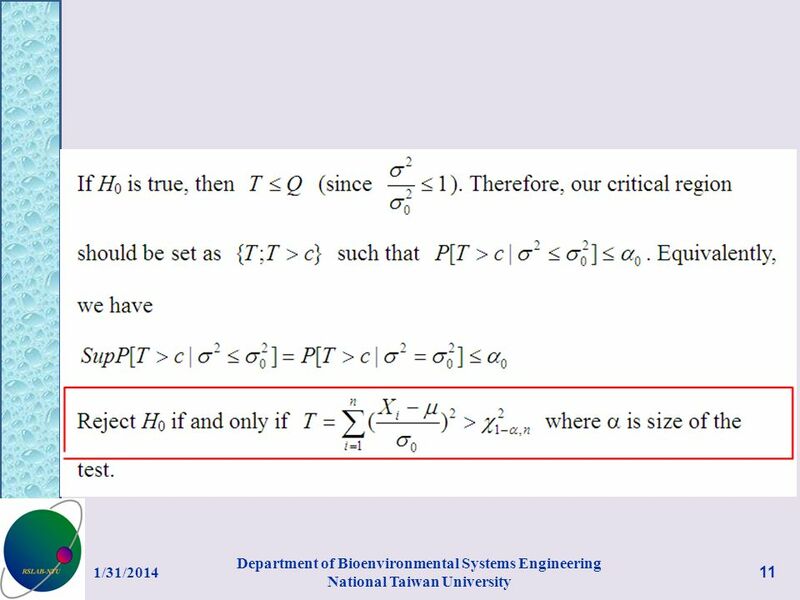 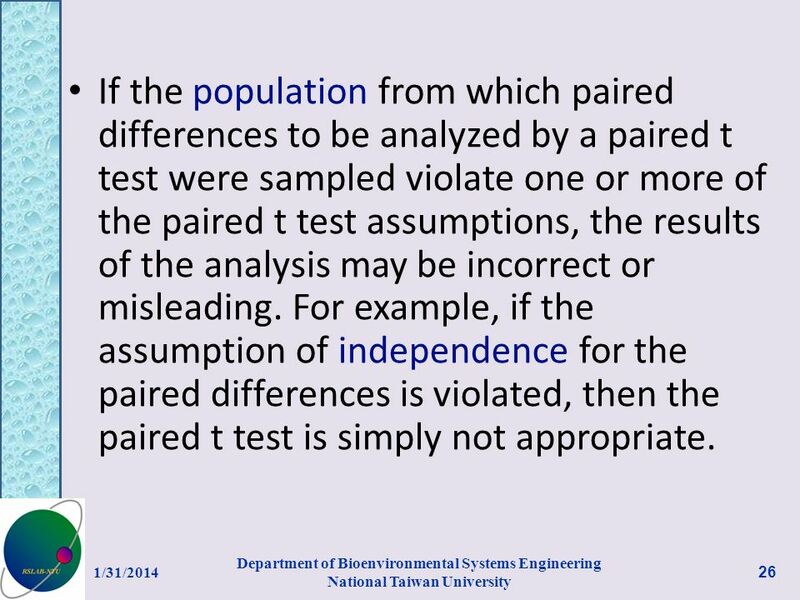 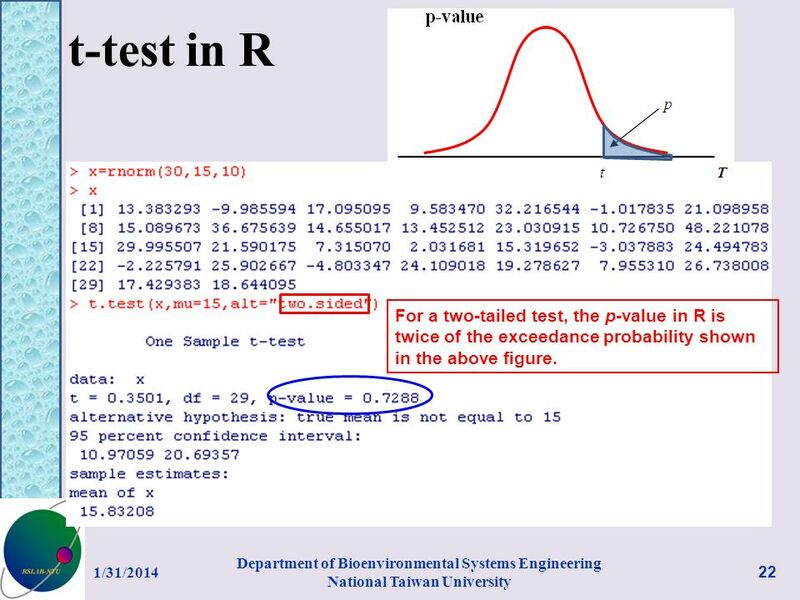 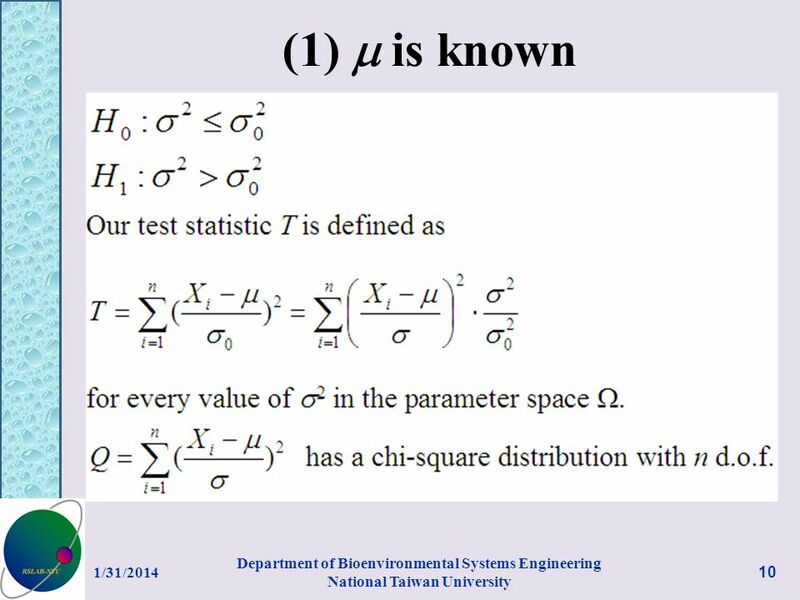 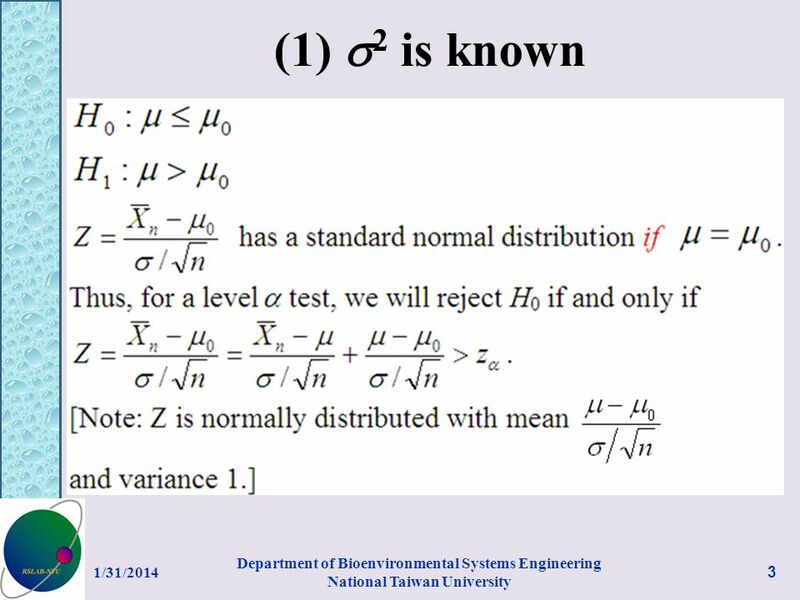 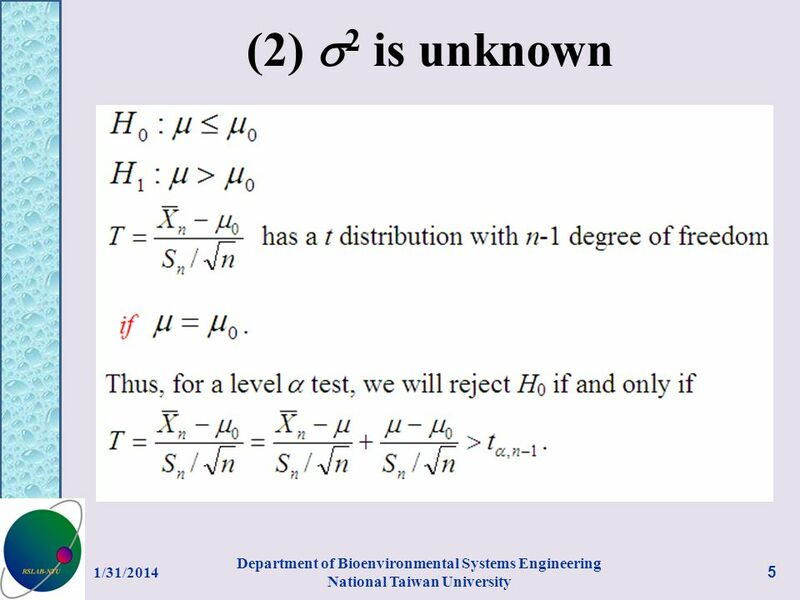 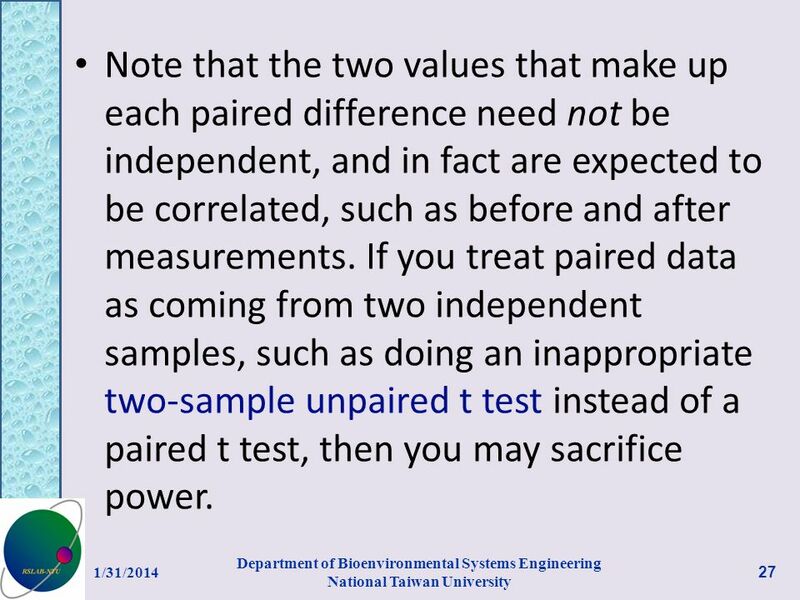 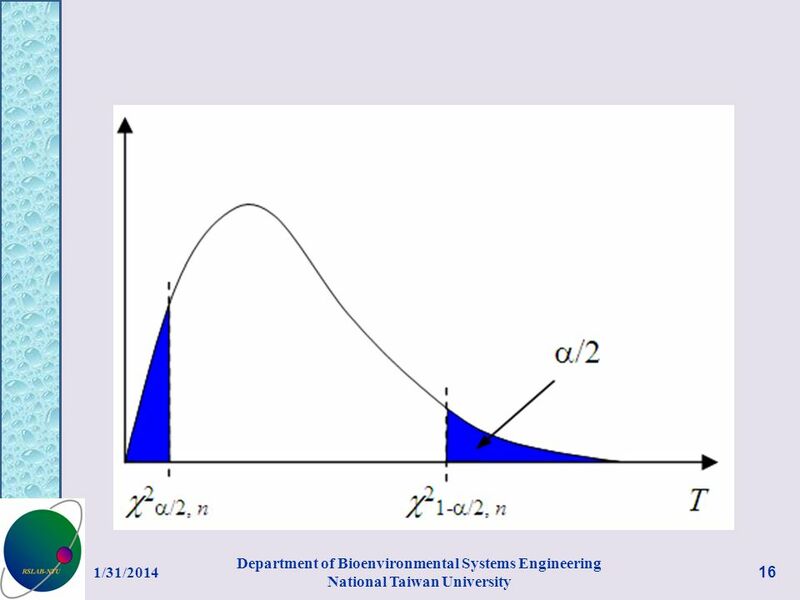 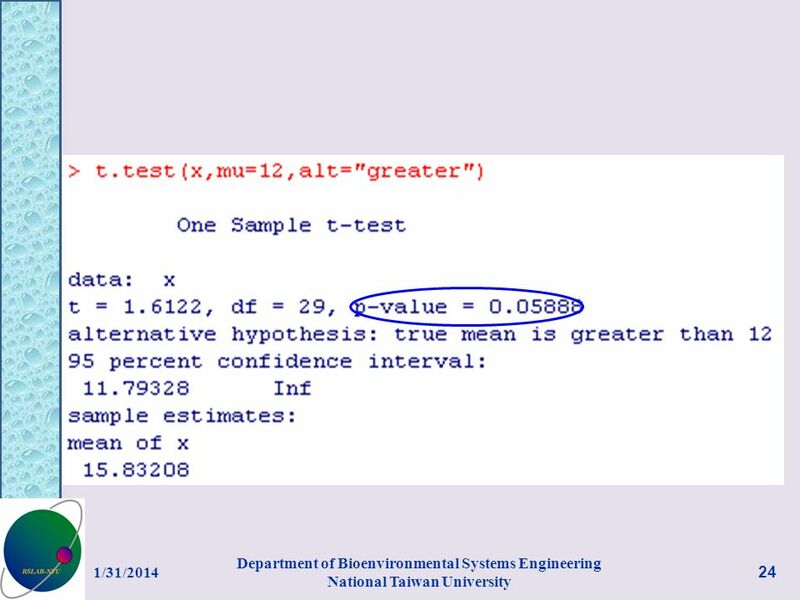 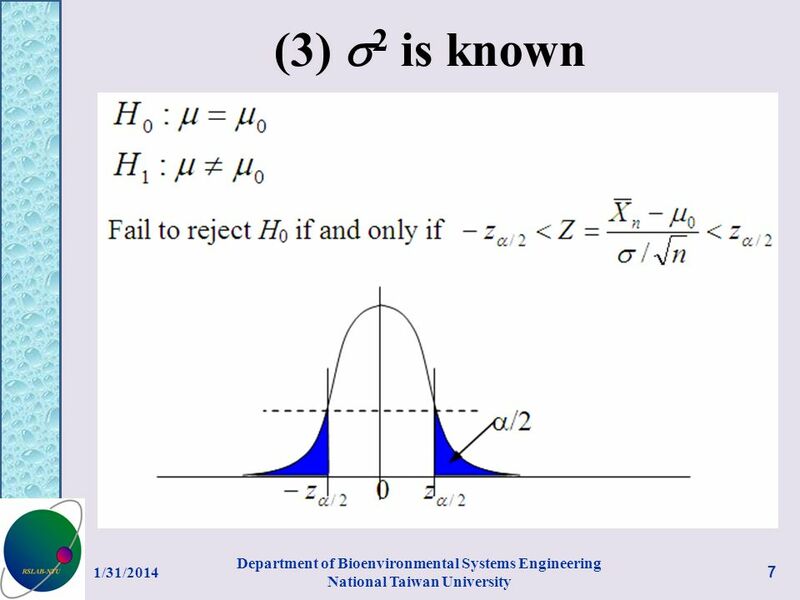 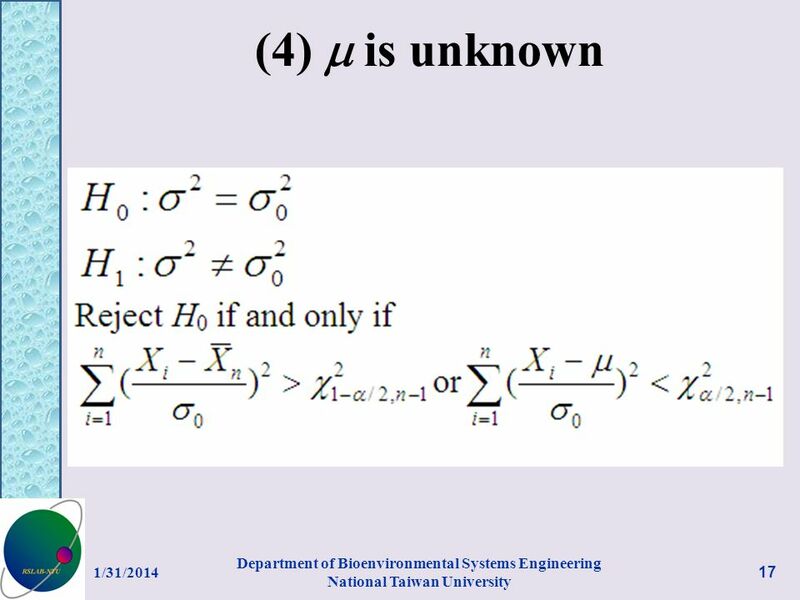 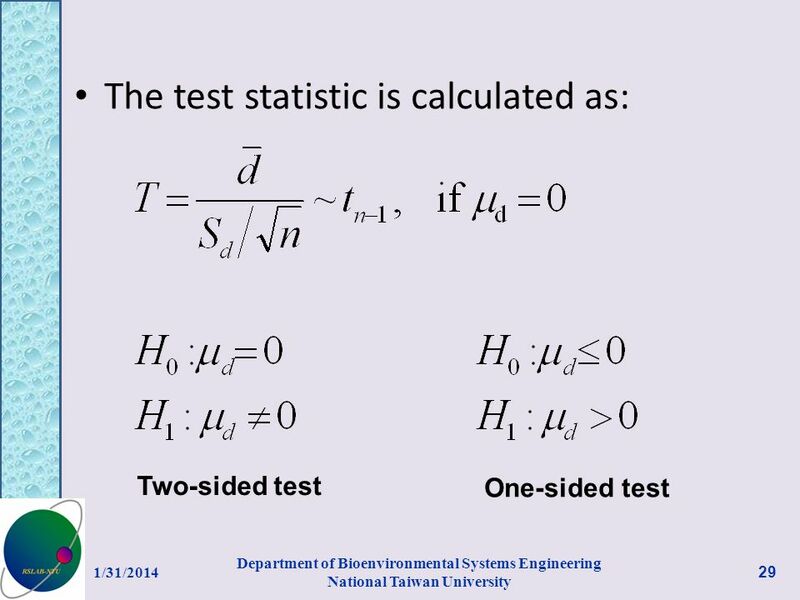 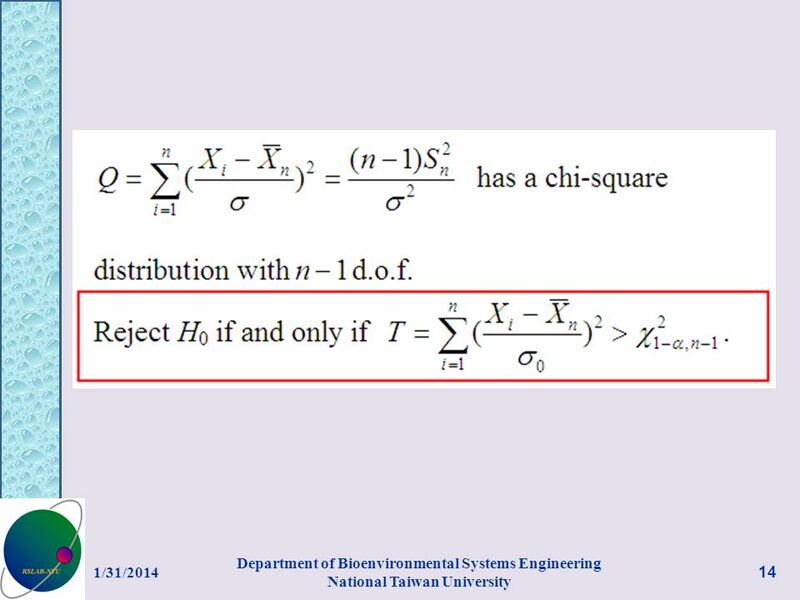 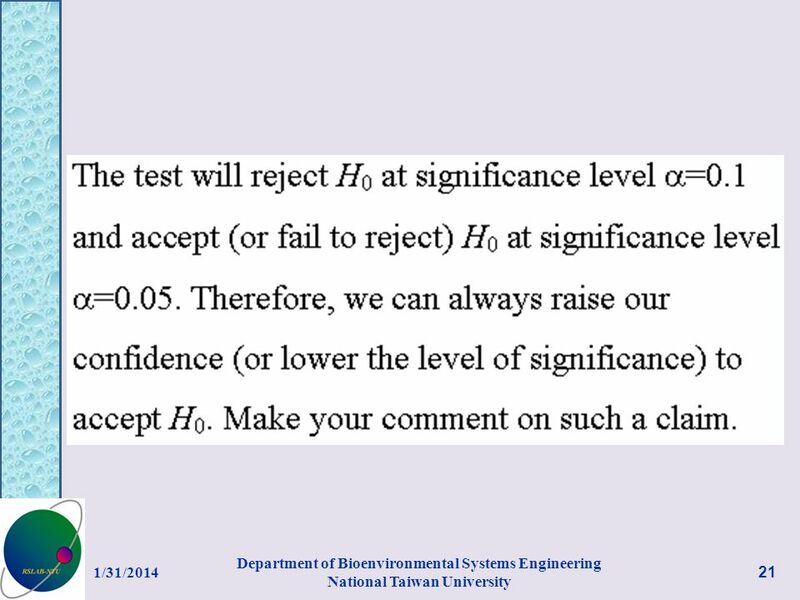 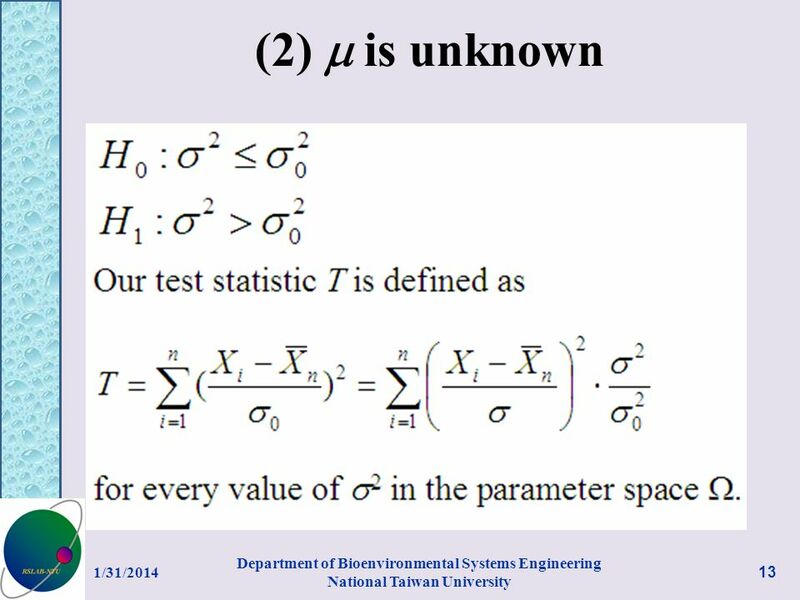 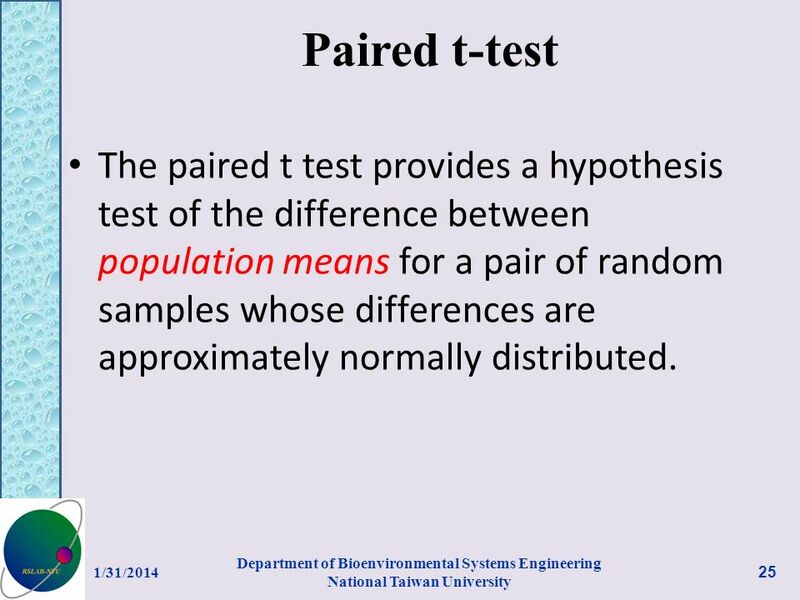 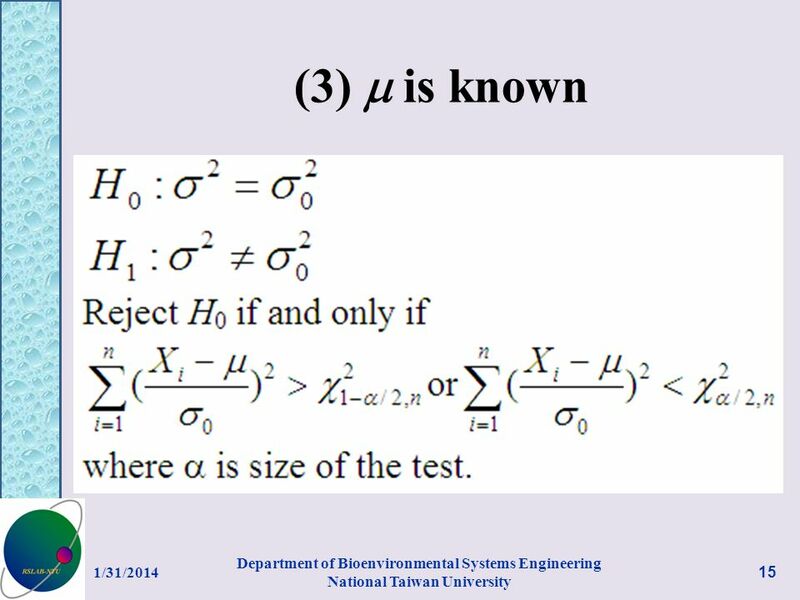 22 t-test in R 1/31/2014 Department of Bioenvironmental Systems Engineering National Taiwan University 22 For a two-tailed test, the p-value in R is twice of the exceedance probability shown in the above figure. 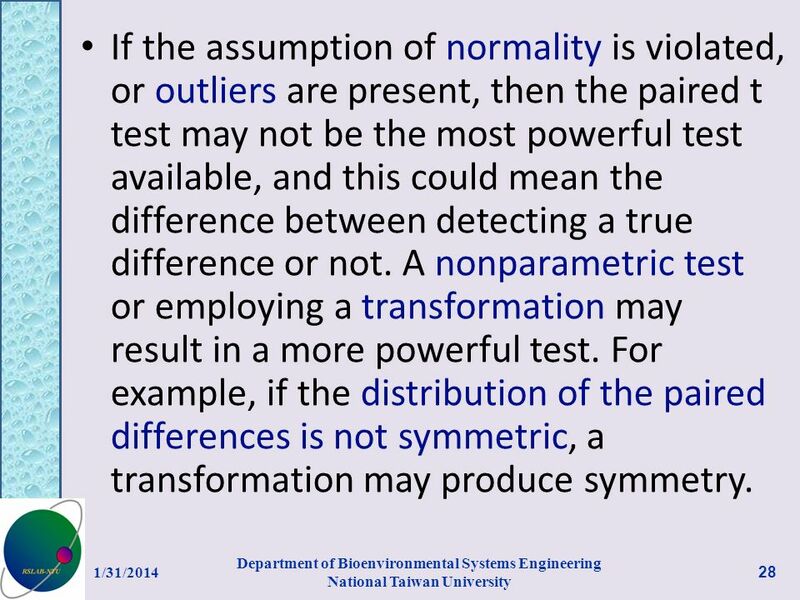 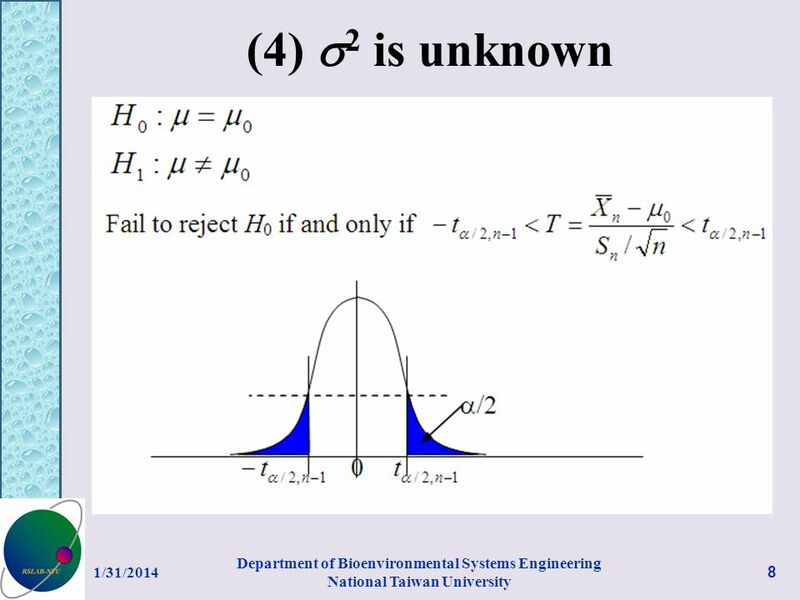 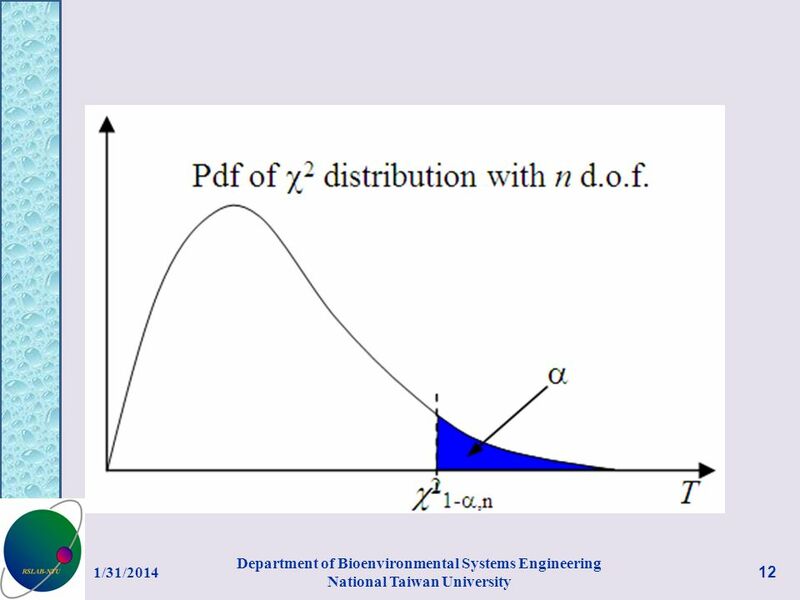 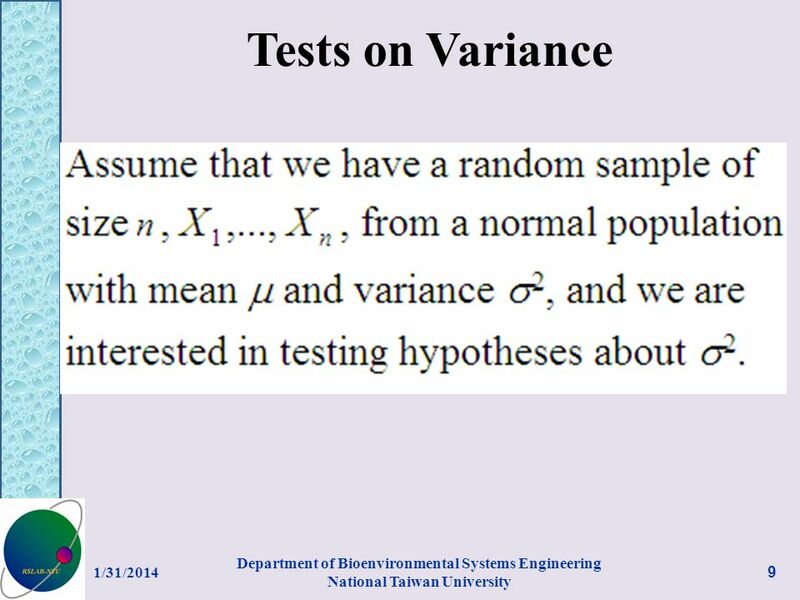 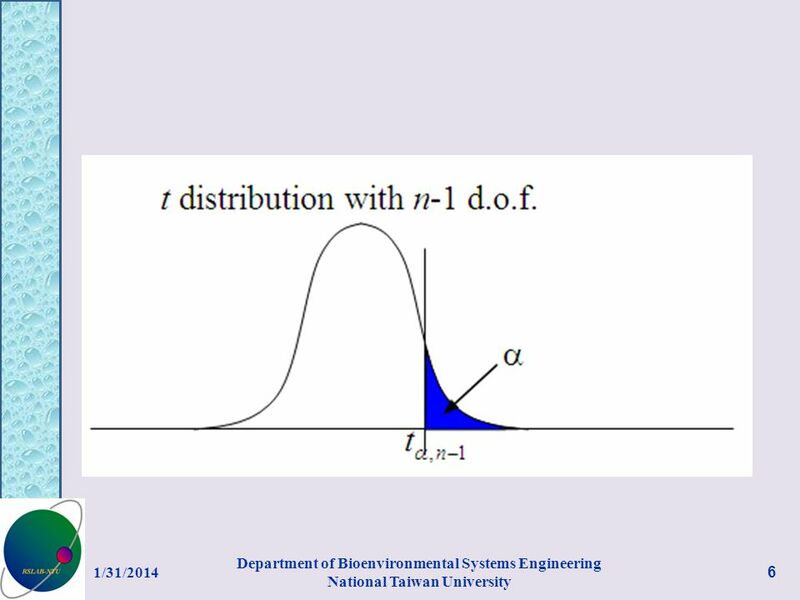 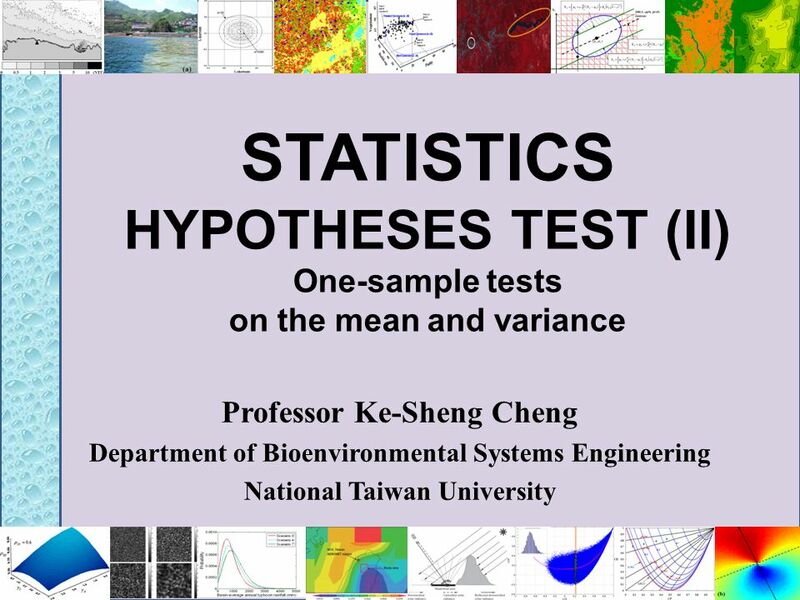 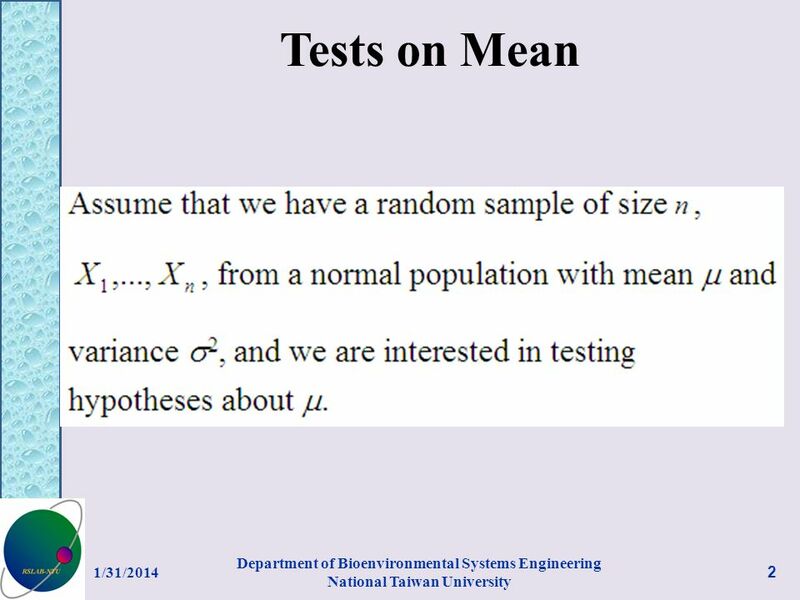 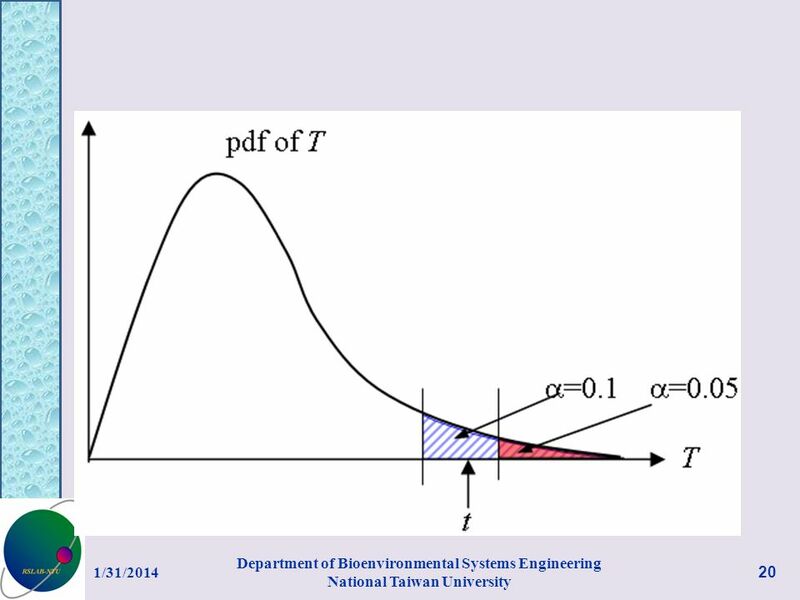 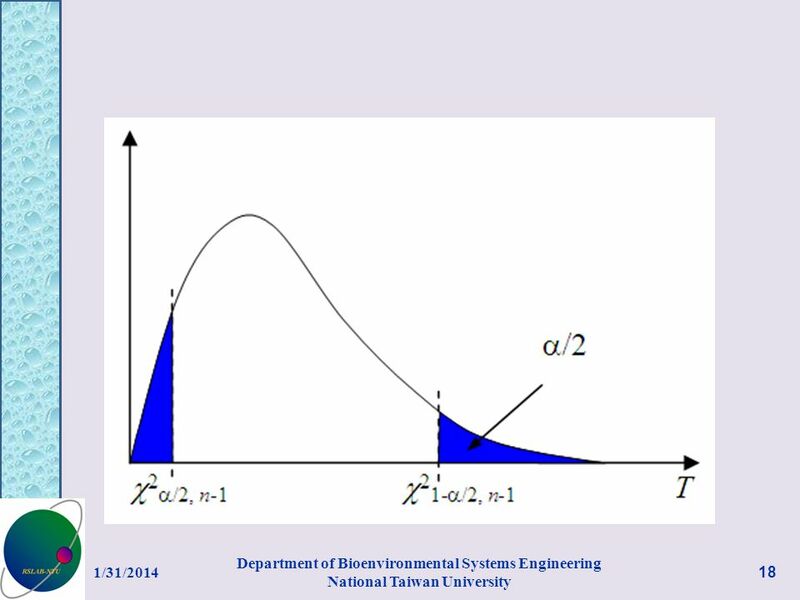 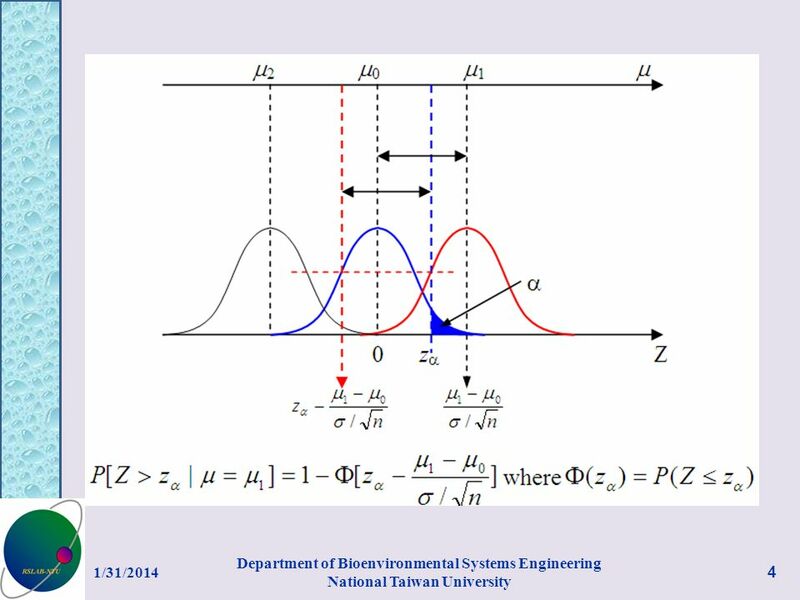 Download ppt "STATISTICS HYPOTHESES TEST (II) One-sample tests on the mean and variance Professor Ke-Sheng Cheng Department of Bioenvironmental Systems Engineering National." 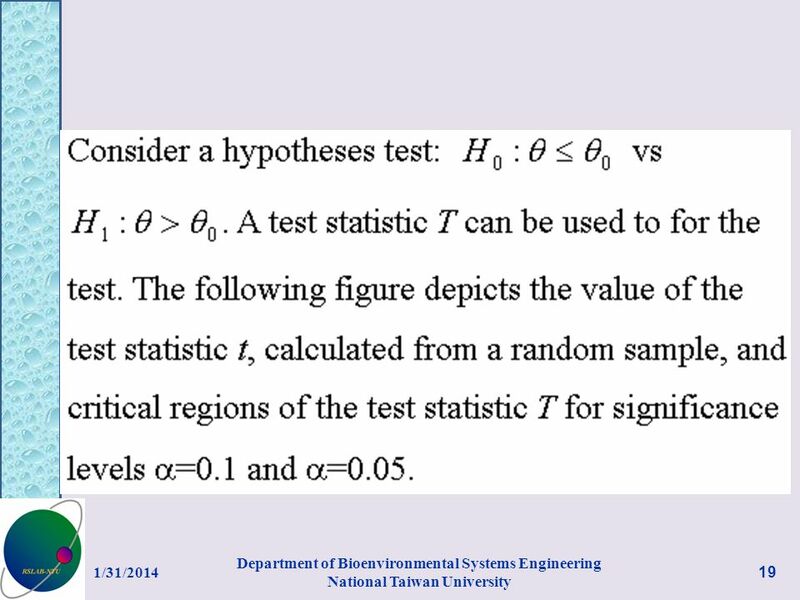 Dept of Bioenvironmental Systems Engineering National Taiwan University Lab for Remote Sensing Hydrology and Spatial Modeling STATISTICS Hypotheses Test.